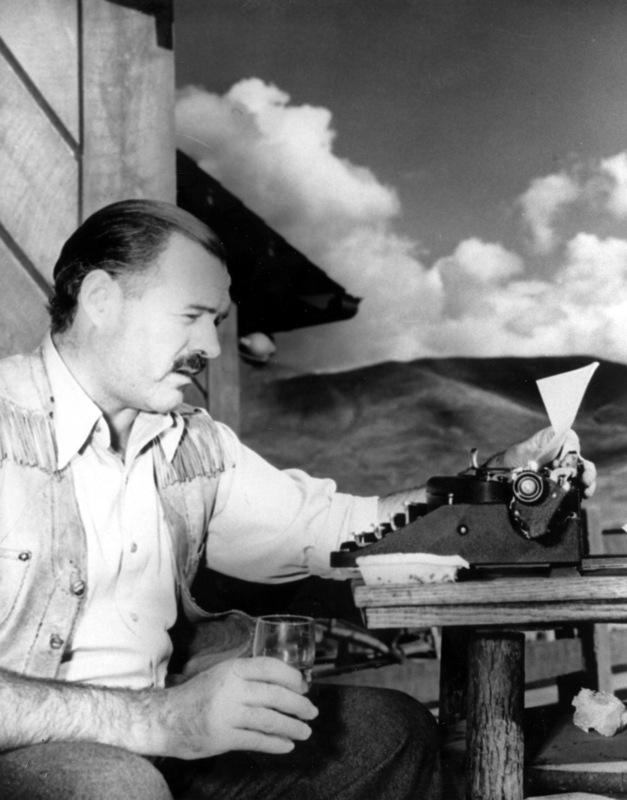 Like Flaubert, Hemingway was known to be a believer in the ‘exact, right word’ and is widely admired for his ability to cut to the chase and deliver a punch in just a few, well-chosen words. Yesterday’spost mentioning In Our Time jogged my memory about one of my formative “mot juste” reading experiences. It happened while I was reading the short story “Big Two-Hearted River” in that early collection of Hemingway’s, and it consisted of one simple sentence. For whatever reason, that last line absolutely knocked me on my tookus. To the point that I still remember it ten years later. Hemingway didn’t even have to tell us what the feeling was (Did Nick feel jittery? Serene? Ecstatic? Sentimental? Enthralled? In his element? Happy? What?!) He didn’t have to scour the thesaurus for just the right phrasing or color. What was it Nick felt? The old feeling! All of it. Nothing more. How incredibly plain and simple that is, but how effective it is in showing us that this renewed connection with nature is rejuvenating and invigorating and relaxing and a hundred other things, too. It doesn’t matter what the feeling was, what matters is the effect it had on the character. And that’s what makes it exactly the right word to use. I'm in awe of that kind of finesse.